Full color print on eco-shirt. 100% cotton. 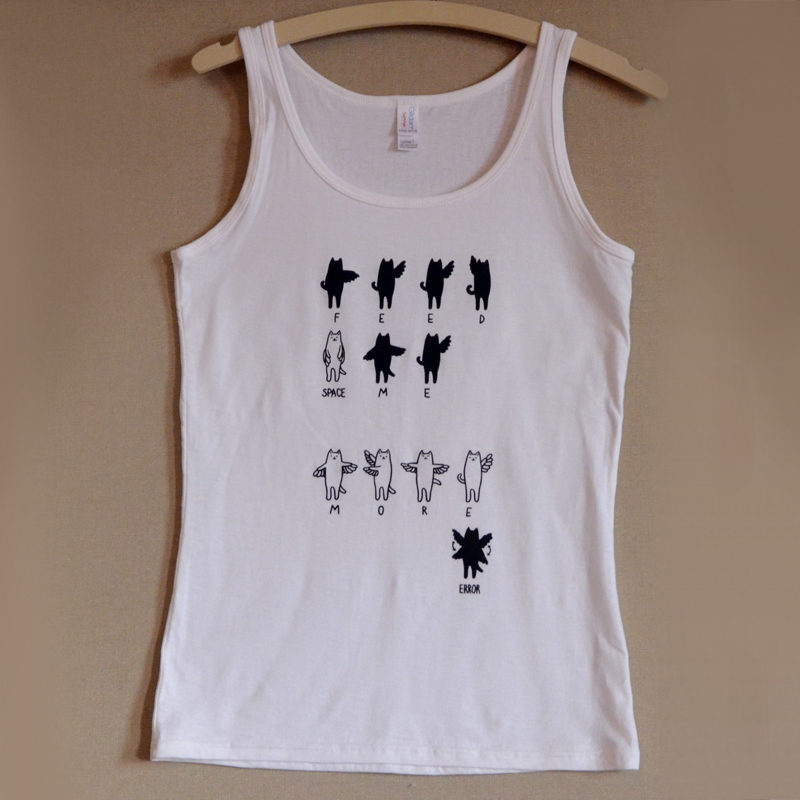 This shirt shows "cat-muses" talking via the "semaphore-ABC". "Katzenmusen" verständigen sich via Sehmanns-ABC (Semaphore).